I've been meaning to create my own productivity planner since the start of the new year and only just decided how I want the layout to be. Over the years I've tried a few different planners including bullet journals and business planners. 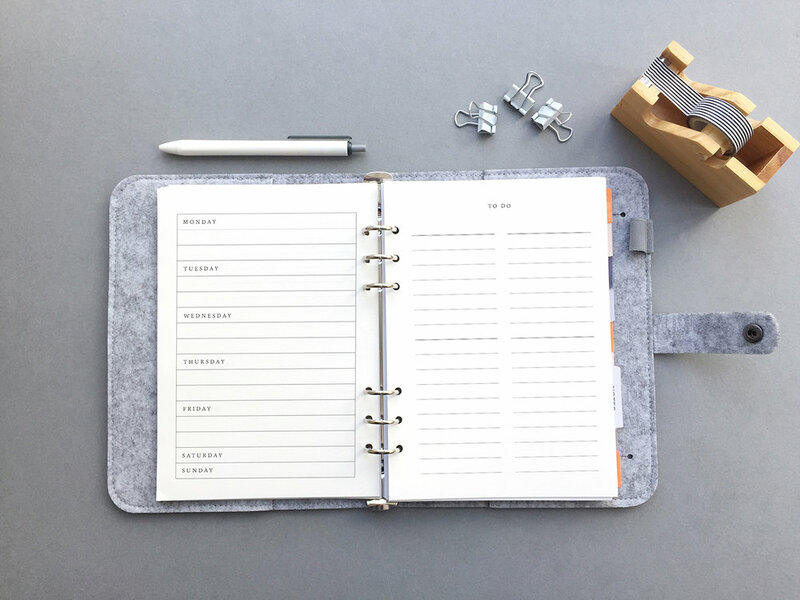 Business planners can be really helpful but you have to work with the layout you're given and I find as the year progresses my planning needs change. I love the idea of bullet journalling as it is flexible and you can design your own layouts and tweak and change as you go. The problem I have is committing time to drawing out each layout from scratch every week and the pressure of making it look good. I also crave the simplicity of a well designed business planner. I'd like something, somewhere in the middle; the flexibility and creativity of a bullet journal and the clean design of a business planner! I've bought an A5 binder and am currently designing the inserts to help me with my productivity and planning. I'm sure the designs will change with time but it's a good start. If you think you would benefit from these layouts for your planner they are available as a free printables. There's a calendar page for March where you can list birthdays and events for the month, and also the projects/tasks you'd like to complete to help you reach you goals. The second printable is a weekly spread for daily appointments and lots of space for your 'to dos'. I normally have daily to do lists so we'll have to see how this layout goes. The March calendar is A5 (148 x 210mm). The weekly planner is A4 (297 x 210mm) which can be cut in half to fit a planner. Click on the images to download.